On this day in dinosaurs, Xu Xing, Wang Kebai, Zhang Ke, Ma Qingju, Xing Lida, Corwin Sullivan, Hu Dongyu, Cheng Shuqing and Wang Shuo revealed the “feathered tyrant” for the first time. 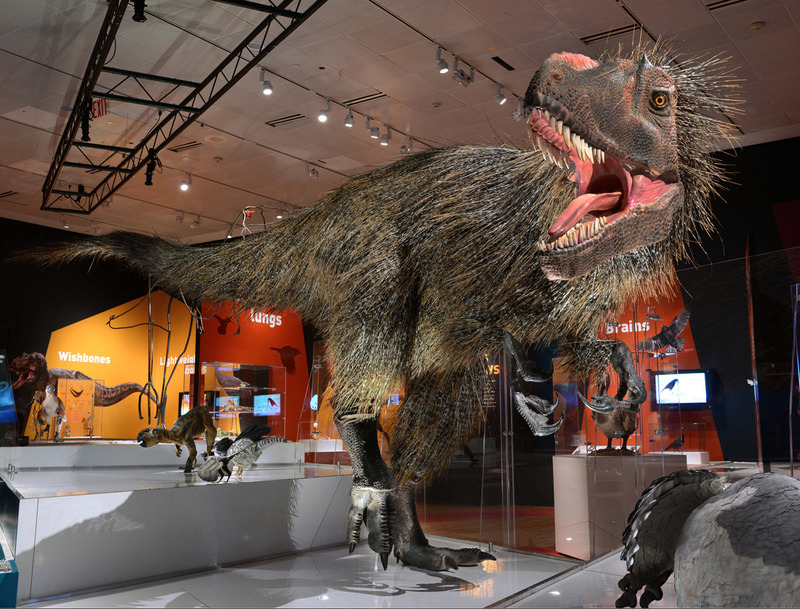 At 30 feet and more than 3,000 pounds, Yutyrannus was a large predator–and was the first dinosaur of its size to be found with fossilized plumage. Each of its feathery filaments is up to 20 centimeters long. The feathers were probably used for keeping the predator warm in its chilly climate. If only we could see what these creatures were like when they were strutting their feathery stuff, 125 million years ago. For now, we want to see your favorite feathered dinosaurs! Share your photos with us on Facebook and Twitter using the hashtag #TDIDinos.